1. 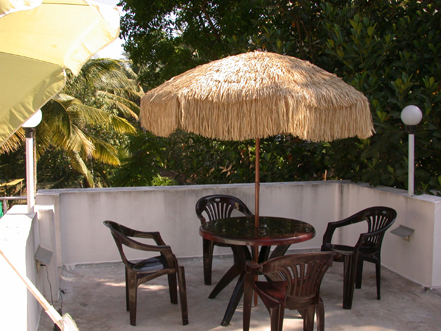 Beautiful & confortable FLAT FOR SALE in Kudappanakunnu !!! 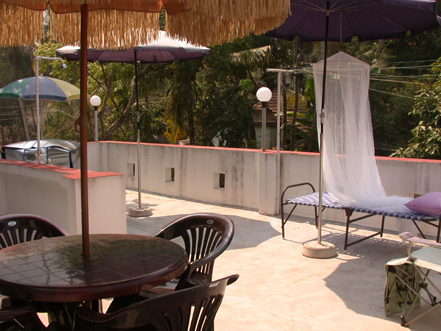 The 600 squarefeet APARTMENT in Kudappanakunnu is in the first floor of a house (Kailas lane 26) and have a big panorama terrace on the top with 600 squarefeet. 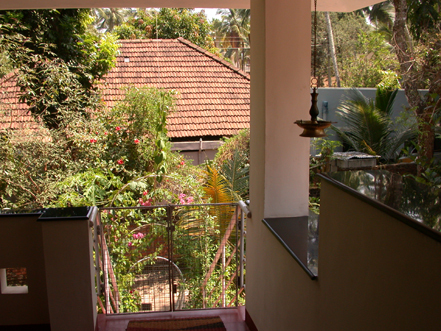 The entry of the apartment is through a step from the private way. 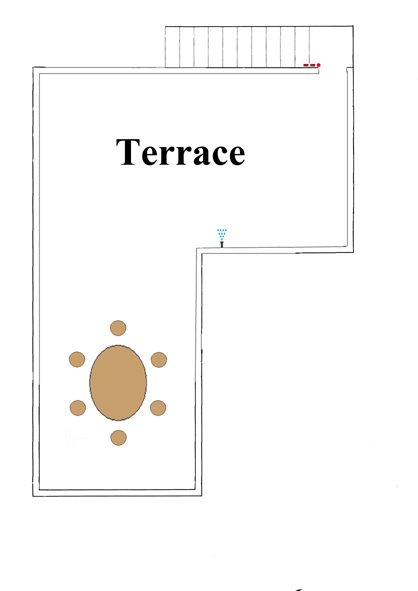 There are 3 rooms: one living room with kitchen, bedroom und veranda (which is closed with plain glass). Every room has AC and fan. 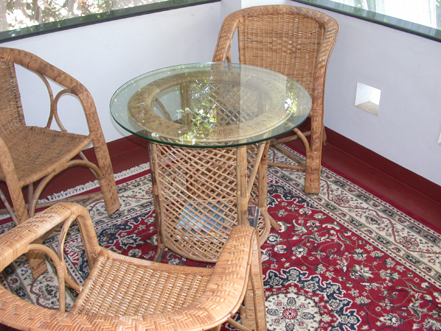 There are carpets on the floor and there is one step leading to the terrace. The bathroom has a shower cabin and washmachine. 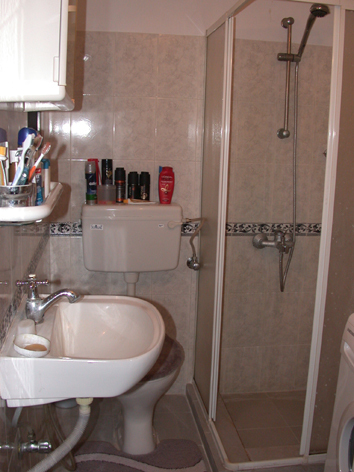 There is also the toilet (there is one more open air toilet on the top). 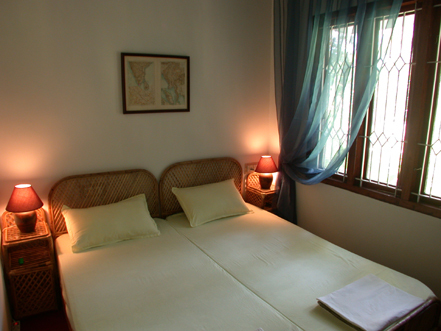 In bedroom there are two very comfortable beds in Kerala design. The windows are big with plain glass and venetians from wood. The apartment has got a lot of light. 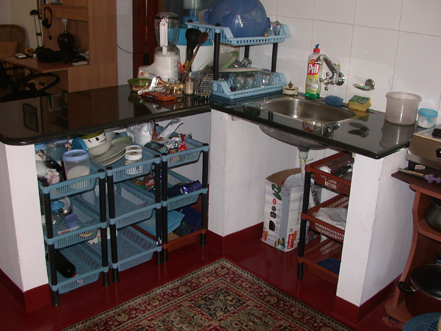 In the kitchen (with marble working place) there is gas and a big fridge. 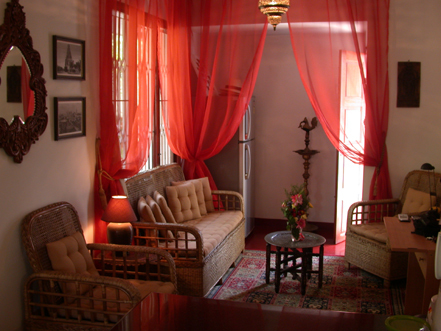 In living room there is one comfortable sitting room suite, writing table with flat TV (+ PC monitor) and some decorative articles in Indian style. On the top there is one pressure pump and two tanks (2 x 500 liter). 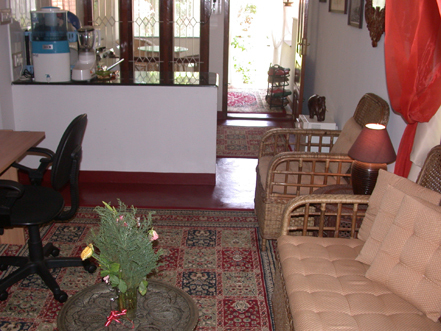 The price is included with all the furniture and facilities (except some antiquities). We are the legal owner of the flat. No one has any share on it and there is no credit on the flat (free from encumbrances). Price: 20 Lakhs Indian Rs. 2. 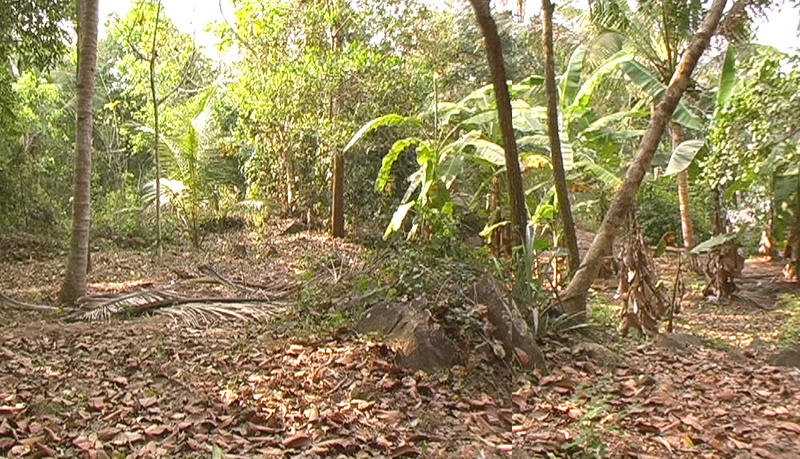 LAND FOR SALE in Kudappanakunnu (10 CENTS) !!! We are the legal owner of the land. No one has any share on it and there is no credit on the land (free from encumbrances). Price: 40 Lakhs Indian Rs. 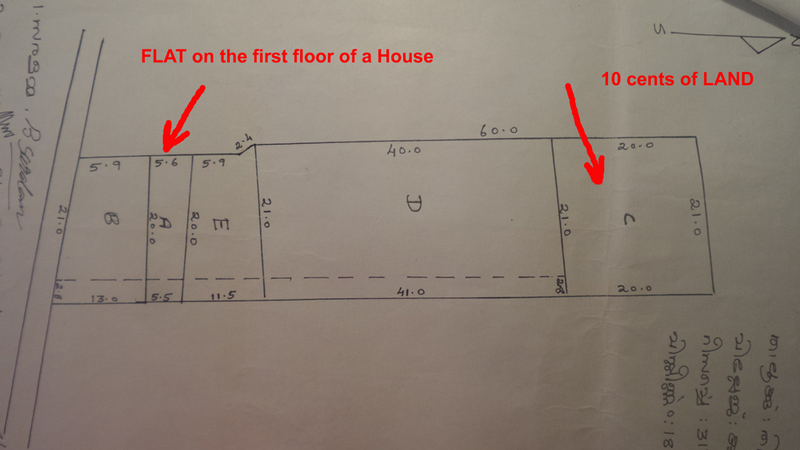 Plan of the Property (Flat and Land in Kudappanakunnu). Both together or separately available. Notice: Flat and Land together or separately available !!! 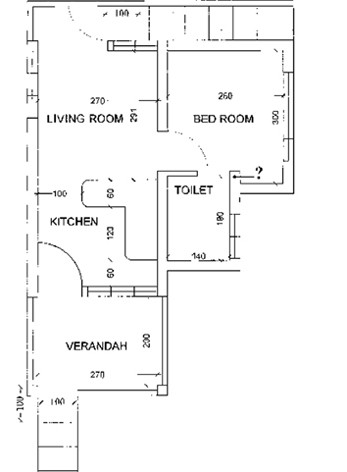 The price of 600 square feet FLAT is 20 Lakhs and price of 10 cents of LAND is 40 Lakhs. Suggestion: Facility of parking is possible on the 10 cents land, if one want to buy both. It is possible to build a house on the land (there is enough place for a nice house and parking places). If somebody build a house there, he can for exmple rent it. He also can park his own car there but live in the 600 square feet flat. One part of the way must be made because the way is damaged through erosion.